It doesn’t matter how carefully your drive or how well you maintain your vehicle, you’re likely to break down at some point or another. Even the most highly regarded manufacturers can’t make cars that are impervious to wear and tear, and when something goes wrong, you might find yourself stranded by the roadside in Cannington for hours. Fortunately, such a frustrating wait doesn’t need to happen if you call the professionals at Executive Towing Services. Over the past decade, we’ve grown to become one of the most trusted towing services in Cannington and beyond. In fact, we serve almost every suburb in Perth, and we aim to reach your location faster than anybody else. Whether you need to take a broken down car to a mechanic, a damaged vehicle to a panel repair shop or a forklift to a warehouse on the other side of the town, our professionals are at your service. At Executive Towing Services, we put safety and efficiency at the core of everything we do because we know that you don’t want your car to sustain damage while being towed, and we also understand that you don’t want to wait all day for a tow truck to arrive. Rest assured; the second we receive your call, we’ll dispatch a qualified professional to your location instantly, meaning there’s no better company to contact than us when you need a tow truck in Cannington. We have a fleet of tow trucks and tilt trays that we maintain to the highest standards, and no task is too demanding for us. From hatchbacks to 4x4s and bobcats to heavy machinery, our team has the required experience and skills to complete the task promptly and safely. We also provide roadside assistance to motorists in Cannington and surrounding areas, one of our dedicated team members can head to your location to assist, we can jump start dead batteries, change your flat tyre, access keys from the inside of your locked vehicle, and refuel your car with petrol. If we can’t provide a quick fix and your vehicle requires the attention of a mechanic, we’ll tow your car to a workshop of your choosing. If you’re unsure of where to go and who to trust, our friendly professionals will be more than happy to offer recommendations. At Executive Towing Services, we’re always here when you need us, and you can feel confident that we will never leave you at the wheel of a damaged car for any longer than necessary. If you need towing in Cannington and will only trust the best for the job, we’re the company to contact. 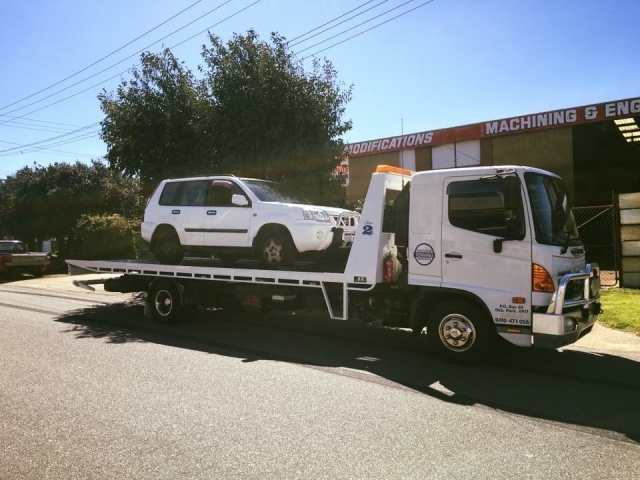 Call us today on 0410 471 056 to learn more about the most cost-effective towing service in Cannington, and one of our friendly team members will be more than happy to provide further details.